All Blacks 2011 World Cup-winner Israel Dagg opened up about the mental health battles that nearly drove him out of the game. Crusaders coach Scott Robertson has made seven changes to his side ahead of their South Island derby against the Highlanders. 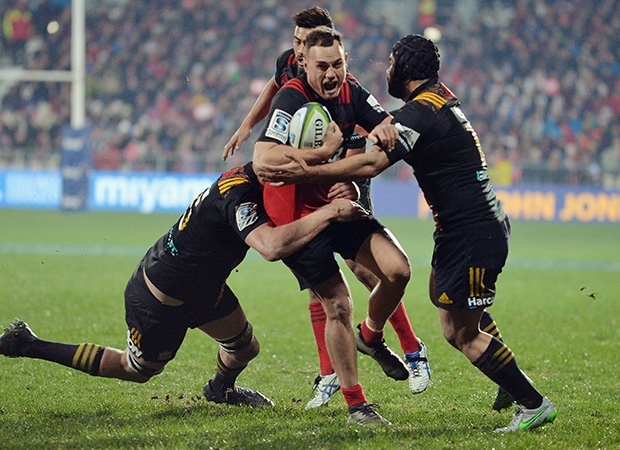 Highlanders captain Ben Smith will play his 150th game for the Dunedin-based franchise when they tackle the Crusaders. Hurricanes forwards Vaea Fifita and Ricky Riccitelli will make their 50th appearances for the franchise when they host the Crusaders. The Crusaders are preparing to make changes to their match-day entertainment for their home game against the Brumbies next weekend. All Blacks captain Kieran Read will make his first appearance of the season when he starts for the Crusaders against the Hurricanes. All Blacks captain Kieran Read has been cleared to play for the Crusaders in their New Zealand Super Rugby derby against the Hurricanes in Wellington. The Waratahs were deserved winners against an out-of-sorts Crusaders side in an error-strewn Super Rugby clash at a wet Sydney Cricket Ground. Crusaders coach Scott Robertson has said his team will bounce back after the New South Wales Waratahs ended their 19-game winning streak. Crusaders duo Sam Whitelock and Kieran Read say grieving the Christchurch mosque attacks is currently more important than a name change.